Two-speed cutting reel, which can be operated in reverse for sharpening; reel drive and traction drive independent of each other; disappearing traction lugs on roller; all-steel shock-proof frame; anti-friction and roller bearings throughout. Built in two sizes—27″ and 20″. COOPER POWER MOWER equipped with a Briggs and Station gasoline motor propels itself easily over level stretches of lawn and up or down steep terraces. It can be operated with ease around trees, bushes or flower beds. The Cooper Mower rolls the lawn with each cutting, its traction roller operating entirely independent of the blade reel. Grass catcher and riding sulky are extra equipment. 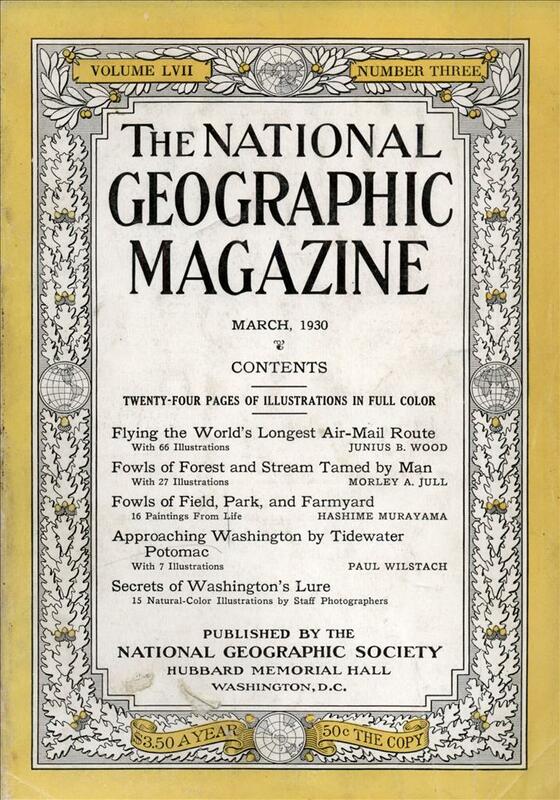 Write for complete information. 501 So. First Ave., Marshalltown, Iowa, U.S.A.
Madame there doesn’t look as if she’s up for anything as greasy and dirty as starting a power mower. Perhaps she has a servant do it for her. What, you don’t mow your lawn in a silk dress, lipstick, and high heels? Does the MC Escher-esque perspective of that picture bother anyone else? 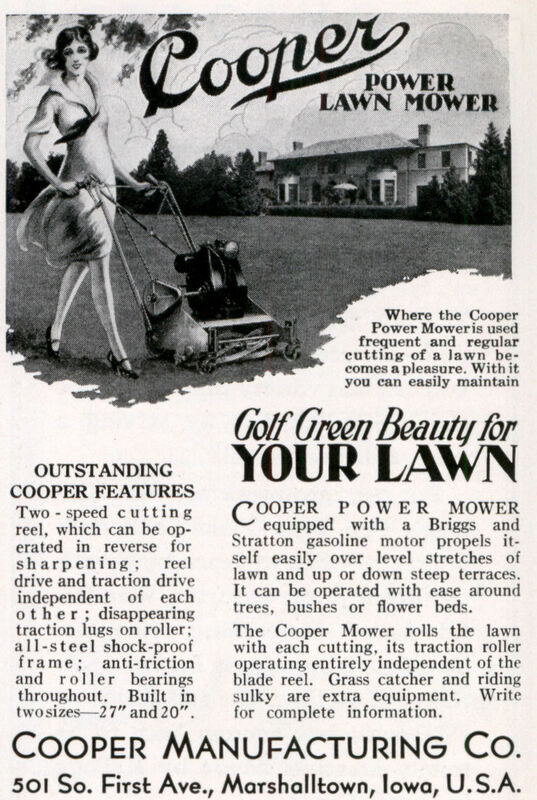 Look at her arms, waist, and above, and she appears to be directly behind the mower. Look at her feet and the mower’s wheels, and she appears to be walking beside it.